The city of Memphis is a magic place. Drive through the thick, sweet air, past crumbling neighborhoods shaded by dense trees, past BBQ joints jetting savory grease into the air, and the sense of history – hard times, heartache, sweat, joy, creativity and pride — seeps from the sidewalk cracks of the River City. It’s impossible to roam the city without running across markers of Memphis’s musical heritage – Sun Records, Stax Records, Hi Records, and now Goner Records; Jerry Lee Lewis, Alex Chilton, Elvis Presley, the Oblivians, Jay Reatard and Rufus Thomas. Though many genres coexist, the music of Memphis is honest, robust, colorful – and, yes, fun – often made by rebellious, larger-than life musicians. This is the Memphis where Magic Kids were born. 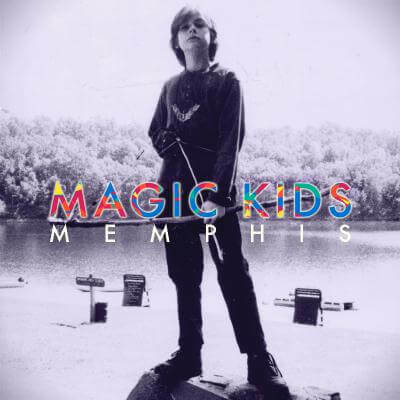 With Memphis, their debut LP, Magic Kids have crafted a heartfelt record that lives up to this tradition of iconoclastic, joyful music-making. Fragments of sounds are taken from memories of influences, the sounds that stuck since childhood and which they treat with reverence. Recorded at Doug Easley’s studio by Shane Stonebeck (Vampire Weekend, Sleigh Bells) the album utilizes a array of musicians and friends playing oboes, strings, horns, 808′s and synths. The resulting sound is a handcrafted take on the way great orchestrators like Brian Wilson, Van Dyke Parks, and Jeff Lynne could take the smallest piece of pop sincerity and translate it into a song bursting with life. Like many of their Memphis forebears, their energy and enthusiasm aren’t from ignorance of life’s difficulties but in spite of, and to a certain extent in direct defiance to, them. Memphis’ songs are unapologetically joyful, unrestrained in their celebration, and fearless in their expression. Live, they are a contagious cacophony: Five band members, numerous guitars, violins, horns, keyboards, all screaming joyfully and melting even the hardest audiences. As a whole, Memphis exists both within and beyond our era. Its sweeping and epic production might bring to mind E.L.O.’s shimmering strings, Lou Christie’s animated falsetto, Belle & Sebastian’s intimacy, the Del-Phonics’ heartbreaking harmonies, Big Star’s bleeding-heart openness and Langley School of Music’s bubbly joy. Still, rather than wistfully looking back to the past as something long gone, the record borrows its pleasures to create something new and important. 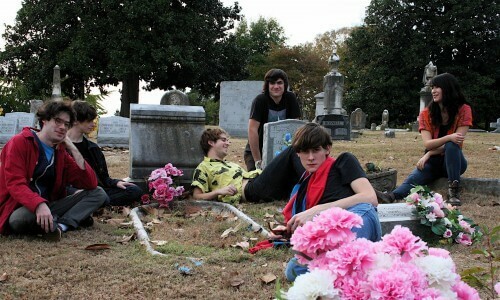 The record is an immediate, incredibly accessible and idiosyncratic harbinger of a new Memphis, and a new group of pop wizards who wave its banner.